Hospitalization is typically a health care choice reserved for serious events that threaten our wellness, like an acute disease or traumatic injury. Unfortunately, these events can become more frequent during the senior years. Both compromised immune systems and fall hazards in the home can make hospitalization necessary from time to time, but it is always the hope of family and health care professionals alike that these stays will only be temporary. Here at Best In-Home Care in Lubbock, we strive to provide an affordable, convenient, and superior option to nursing homes and other post-hospitalization recovery environments. Learn more about In-Home Health Care! Why Is It Important To Plan For Health Care After Hospitalization? You might be wondering why home health care is so important after hospitalization. Due to the ever-increasing costs of an extended stay in the hospital, many seniors and their families take advantage of discharge as soon as it’s allowed by their doctor. This often means that seniors are discharged long before their recovery and/or rehabilitation is complete. If the proper plans aren’t made for continued rehabilitation after discharge from the hospital, the odds of hospital readmission go up. To avoid this, we always encourage families to explore all of their options after hospitalization, including senior home care in Lubbock, provided by Best In-Home Care. The type of post-hospital care that’s right for your senior will depend upon the reason for hospitalization as well as your budget. 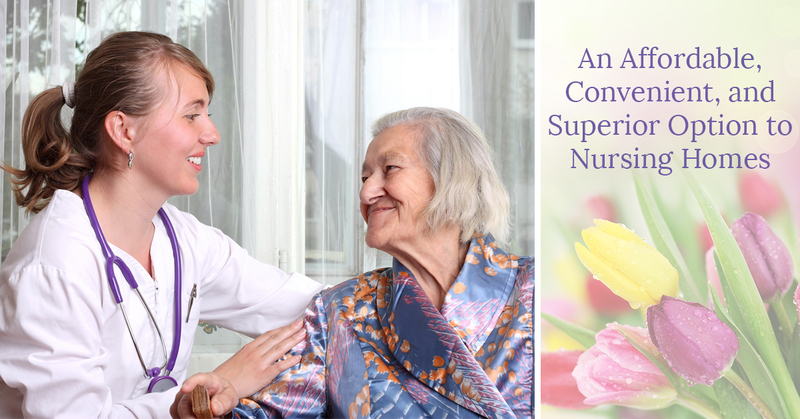 Nursing Homes/Rehab Hospitals – If the reason for hospitalization was very serious, resulting in a need for 24-hour nursing services and skilled medical care, a nursing home might be the best option for your senior. In these facilities, the environment and treatment will be very similar to what your senior experienced in the hospital. In-Home Senior Care – If the reason for hospitalization was less severe, resulting in a need for supervision, assistance with some everyday tasks, and help making it to follow up appointments at the doctor’s office, in-home senior care may be a better and more affordable options than a nursing home. Ask yourself and your doctor whether you would be able to handle the after care needs of your senior if time and energy weren’t an issue. If the answer is yes, contact Best In-Home Care in Lubbock for more information about our services! Assisted Living – If you don’t feel that you would be able to handle the rehabilitation process on your own at home, or are worried that complications might arise in the middle of the night, assisted living facilities might be a good choice. In these facilities, seniors enjoy a more home-like environment, but staff are on hand 24 hours day. Physical therapy and occupational therapy are usually also available in assisted living facilities. In-Home Senior Care Keeps Lubbock Families Together! Your senior loved one will likely have a faster and more pleasant recovery if they’re allowed to stay in their own home. Click the button below to schedule a FREE in-home assessment today.